The Harlquin Absinthe is a very special little jester, It is produced in France by Les Fils d'Emile Pernot for a Swedish enthusiast, Georg Strömfelt, and is currently only sold through orders via Swedish Systembolaget stores. The label is very nice with a clean and sleek design and the Harlquin in the middle. The label isn't an advanced piece of art or anything but something about it makes me really, really like it. The Harlequin Absinthe is at 55% alcohol and comes in a 50cl bottle which makes if a bit more affordable in Sweden considering the high alcohol tax here but also a bit easier to over water. Now then, Georg Strömfelt wanted to introduce a well made absinthe with a traditional profile to the Swedish market. An absinthe he could firmly stand behind - something he would love to drink himself. This is it and I must say the collaboration turned out well. 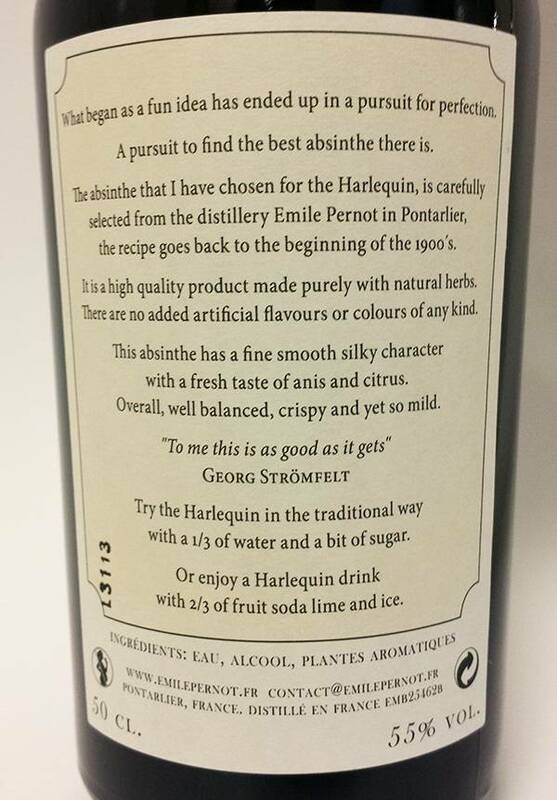 The Harlequin Absinthe reminds a lot of the Bourgeois, also from Pernot, and maybe they are based on almost the same recipe. I can't currently do a side by side tasting of the two but if I remember correctly there is a slight difference in the two but they are very close. That's not a bad thing - I like the Bourgeois. Pouring a shot in an absinthe glass, swirling it a little to open up, it presents a very fine floral aroma with clear wormwood notes, pontica and anise. Fennel is in there but a little more in the back. There's a faint citrusy or fruity scent in there but not very strong. All in all the aroma is very inviting and the water carafe is just standing there, next to the glass - waiting to do its magic. Using a slow drip and ice cold water the Harlequin starts to louche up from the bottom. The louche is very nice and the color goes from a fine light green to a really nice light yellowish green. The water also helps the aroma become a bit more balanced than before turning it into more of a nicely blended complete absinthe instead of some ingredients jumping out here and there. Tasting the louched Harlequin it presents a fine and rich mouthfeel and the taste is good. This is probably where the Harlequin drops a notch from the aroma. The taste is good but the aroma promised more. 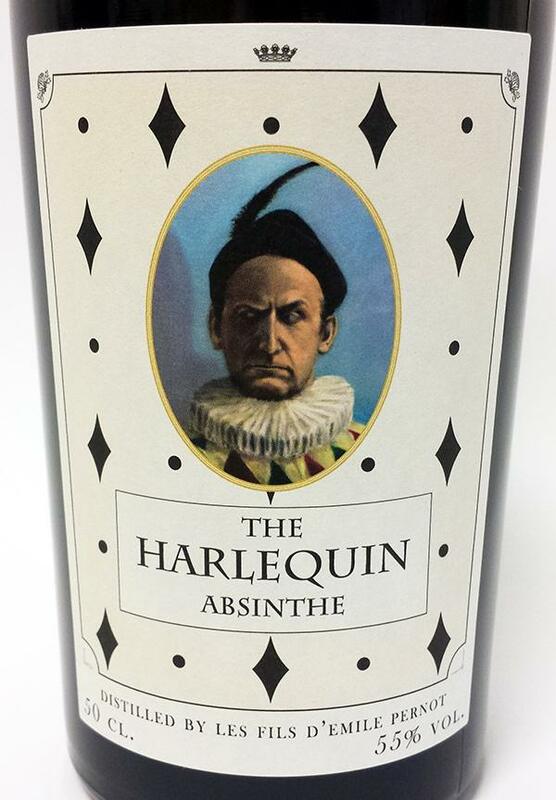 I get the same notion with the Harlequin as I did with the Bourgeois - it's a very good absinthe but is there a need for another "ordinary middle of the road absinthe"? Well, in this case I think there might be. First of all because Sweden doesn't have much of a selection in stores and second because it's a good entry level absinthe for anyone. What I've noticed in it though is that if you let it sit for a few weeks after you've first opened it, it will develop further and mellow out a bit. May be something to think of when you try it. Final words then - a good absinthe with a very inviting aroma, a nice taste and a label that I like. Should you buy one? I think you should. 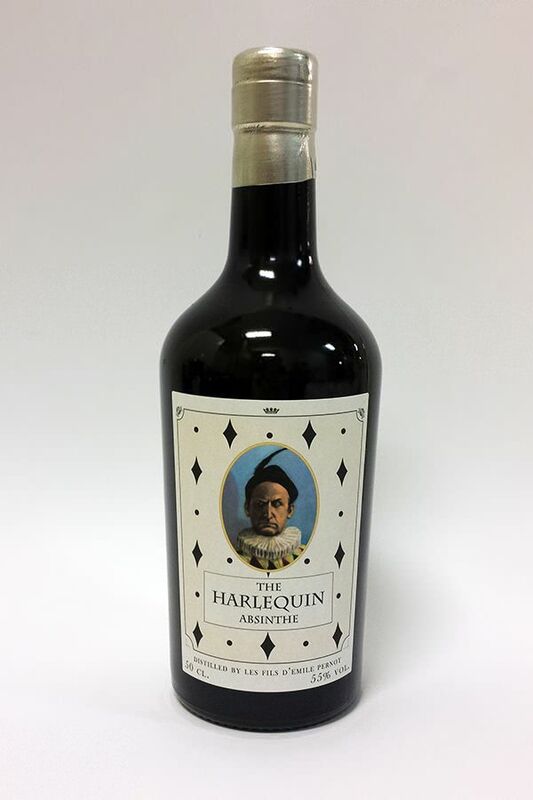 The Harlequin Absinthe is very refreshing, crisp and easy to enjoy.